Event planners learnt what events of the future will look like at Destination Westminster on Friday 13th September, with talk of 3D holograms, mood altering lighting, ‘unconference’ techniques and social media collaboration amongst tips shared and demonstrated during The Westminster Collection’s 10th anniversary venue showcase. Held in the ornate surrounds of The Ballroom at central London venue 8 Northumberland Avenue, the breakfast showcase event, which was free to attend, was an opportunity for event buyers and planners to spend a morning with the sales and marketing teams at 50 of central London’s most iconic venues – all of which are available to hire for meetings, conferences, parties, dinners and events. The Unleash Your Creativity forum saw speakers including Katie McPhee, senior community manager for Eventbrite, Sam Michel, founder of Chinwag and Jez Paxman, creative strategy director for Live Union, stretch delegates’ imaginations about what a conference could deliver if you’re brave enough to invite audience collaboration before or during an event to help shape content. Social media was cited as changing the whole nature of the buying process and Katie McPhee emphasised how important promotion is in making events successful – it takes four Facebook shares to sell one event ticket, she said. Katy Hadcroft, general manager of RSA House, run by events caterer Harbour & Jones, also showed how food can become visual theatre and underpin interactive experiences for guests, if you apply a little imagination to presentation, serving techniques and taste. 8 Northumberland Avenue’s own catering team Alchemy demonstrated exactly how that is done with a brilliant breakfast menu that included mini Full English breakfasts served on slate squares, mini egg benedict, ‘posh porridge’ in mini bowls and three varieties of flavoured milk served from the crate in mini glass milk bottles, with straws. TWC later took guests by surprise as Tracy Halliwell, London & Partners’ director of business tourism and major events, was ‘invited’ onto stage to deliver a special message of encouragement to buyers considering London as a business destination. Guests were none-the-wiser that she had magic powers as she spoke inspiringly about TWC’s role in delivering London’s future 2020 vision for business tourism, until she exploded into a bluster of feathers before re-emerging as a chiming, twirling 3D hologram of Big Ben. She had never really been on stage at all – it was all a holographic illusion created by Musion (and filmed in advance of the event). Destination Westminster marked 8 Northumberland Avenue’s debut of this Musion technology and a dynamic presentation then followed incorporating true-to-life musical performances, animated presenting techniques and interactive graphics led by Musion director Ian O’Connell. 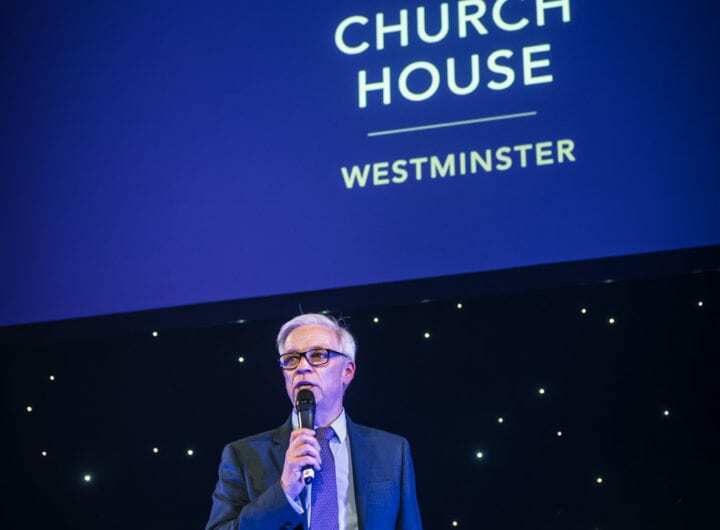 Robin Parker, TWC’s marketing director, said: “This year’s showcase delivered a thought provoking experience for both our event buying guests and member venues. It was great to see several new members exhibiting for the first time this year and many venues relished the opportunity to tell events organisers about the developments they have made to their meetings and events facilities in the last 12 months. The feedback from both members and guests has been very positive. 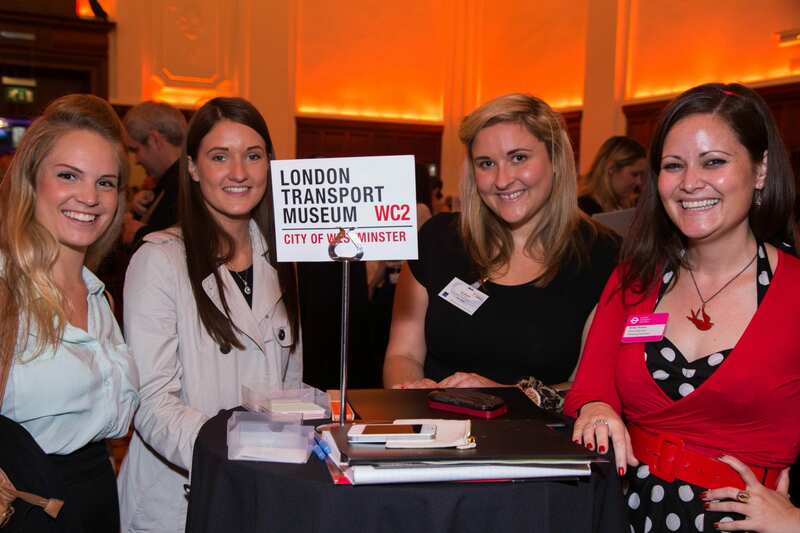 For news and updates from TWC, follow @Venues_Wminster on twitter and use #DestinationWestminster to join the showcase conversation.